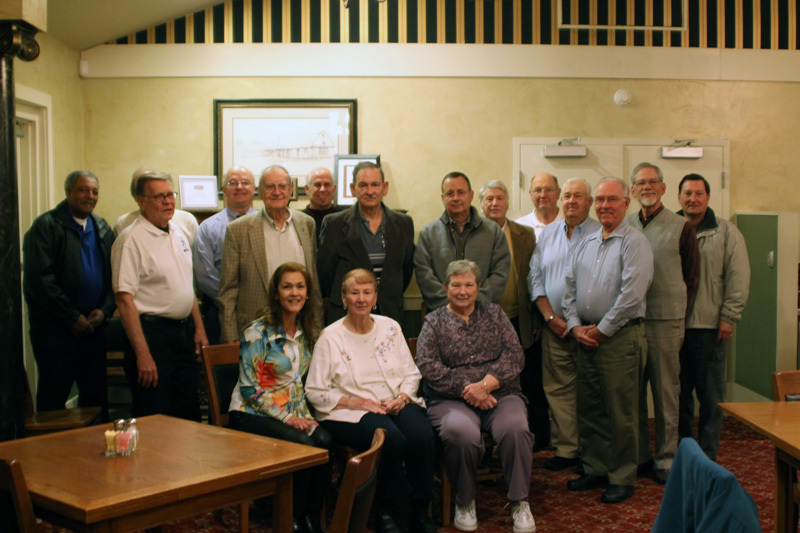 On Wednesday January 15, 2014, the Bedford County Sheriff’s Office held its annual Retired Senior Volunteer Patrol (RSVP) Program Appreciation Dinner. Sheriff Mike Brown started the RSVP program in May 2001 with six volunteers. Two of the six charter members, Chuck Neudorfer and Charlie Walker are still very active members. Currently the program has 19 active members. The program unitizes retired persons in assisting deputies with non-emergency tasks. In 2013, the volunteers donated a total of 4250 hours, which saved Bedford County tax payers over $72,000. They drove 51,201 miles performing their duties. Last year, RSVP volunteers assisted with 803 department errands, assisted with 56 funerals, assisted 85citizens with locked vehicles, performed 370 house checks, 626 school checks and delivered 76 meeting packets to members of the Bedford County Board of Supervisors. The RSVP volunteers also visit persons who participate with the Project Life Saver Program making sure the batteries in their equipment are in good working order. Sheriff Brown is very proud and appreciative to each volunteer for their tireless devoted service to the citizens of Bedford County.